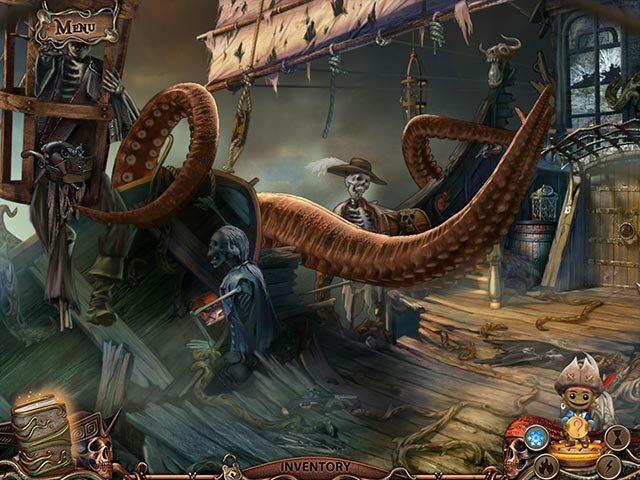 The fate of mankind hangs in the balance as a buccaneer strikes out across dangerous waters to discover the source of a devastating plague and destroy an ancient evil intent on wiping out humanity. Packed with adventure, challenge, and jaw-dropping artwork, World Keepers: Last Resort offers a gaming experience that will absorb you from beginning to end. 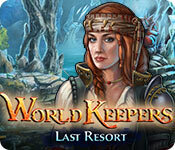 World Keepers: Last Resort is rated 3.0 out of 5 by 24. Rated 5 out of 5 by krinneyd from Delightful Pirate, mythology, cute doll adventure....appeals to just about everyone! I quite enjoyed this little SE adventure was totally worth the free coupon but I would have paid for it had I not had the coupon. I like anything pirate, mythology and although the keepers were dolls and adorable...they weren't 'playthings' as such. The HOS's were great, not hard, not really easy, puzzles and knowing what to do next was challenging even on the easy mode...so glad I didn't chose harder. Okay for Beginners as long as it is on Regular mode. But would be really challenging for Hard or Expert. Bonus that the chapters were quite long, at least for me they were, took me several hours to complete. Of course not having a map to transport will add time to any game and there is some back and forth game play but not enough to annoy me. All in all a great SE game and I highly recommend it! Rated 5 out of 5 by skullfun from World Keepers is a Colorful, Creative, Captivating Adventure!!! I really had great fun playing this SE and it's a long game. I played longer than four hours and enjoyed every moment, at least 6 chapters. (You) take the role of Elizabeth, a strong and confident hero, as she explores visually striking environments in her efforts to learn the truth. Search for clues in a ruined island town, use your wits to overcome terrifying creatures, and avoid the smoke monster that threatens to end your journey. To advance, you'll need to find four dolls and use each one's unique power. You'll need the power of ICE, FIRE, ELECTICITY, and TELEKINESIS in order to combat a multitude of obstacles, challenges, and monsters to progress forward in this very unique HOPA. What begins as a strange little Pirate story soon becomes something all together OUT OF THIS WORLD. Just as the demo ends and you begin chapter 2 you won't want to break away for a moment. Yes the graphics could have been more detailed and they could have included voice acting. Once you are engaged in the story though, you are more drawn to the action and the story and even the written dialogue becomes minimal. Gamers from beginner to expert can have a blast with this one and feel child-like while playing. This isn't a kids adventure and I highly recommend. Rated 5 out of 5 by Anangelsprayer from Beware of the Black Smoke As you probably might know this game is from Big Ala. I am truly enjoying this game. It rocks! There is no VO's, but if you miss something that was said in conversation in the cutscenes it's written in the journal. The story is really decent. No looking for a lost family member here. You have four different magics that will be at your disposal. Early on in your journey you meet and Ice Spirit (who looks like the little doll we had in their other game), but he says they made me look this way. The Ice spirit just lends you his magic, he is not with you persay. There is no map, but the hint button is awesome. It tells you where you need to go exactly. I know on the screen shots you do see a little pirate doll on the hint button, but I don't know what he is yet cause I haven't gotten that far. You do a lot of exploring. To me it seems more so that playing H0GS or mini games. I love it. Story: You play as a pirate captain named Elizabeth and you're called upon by your good friend Ethan to help him look for his son Adam. In a letter Adam wrote to his father that he doesn't want his father to come looking for him because of some evil black smoke. Somehow Ethan thinks his son is responsible for causing this smoke but as you go on with the story you found this isn't the case. While you're exploring the ship you come across the black smoke and it's scary and destructive. It wiped out the whole crew in a matter of minutes. You come across a little Ice Spirit who is willing to help you as long as you help him to find the Knowledge Keeper which is another 'doll'. So between the two of you set out on a pretty decent adventure to set things right with the world once again. Mini games: The two I came across so far was match the symbols and put a snake back together. The mini games look like my type, nice and fun for once. Not this 100 steps to get a puzzle together where you most likely use the strat guide for help. Music: This team has one of the best musics no matter what their game is. They know how to get the perfect music to match the game. Graphics: Beautifully done. Crisp and clear. Great job on this. Hint System: Awesome. Tells exactly where or what needs to be done. You don't need a guide for this game. H0GS: So far I only ran into list words with red words as an extra step. I have only ran into 3 H0GS in a hour and a half play time. Also you can click on the list and the list drops down in case you need to see below it. I like that feature. All in all kudos to the team for an awesome game. I am truly enjoying it and looking forwar to see what happens. I highly recommend this game! Rated 4 out of 5 by greenshade from An old game? But long game! I haven't seen this developer around for a while so it was like old home week for one of my favs. It was like this game was dug up in a time capsule and I loved it. Oh how I've missed having a journal..and here it is and we had to rely on checking it often for important information. I didn't mind having no voice overs, wasn't aware there was a map until I read another review. The hint worked very well if and when I got stuck (and I did!). Love this long SE gem that others have told the story of. I am more than happy to support developers other than the ones who usually dominate this site. HOURS of fun! Rated 4 out of 5 by grammakk from get off that ship now!!!!!!!!!!!!!!!! i don't do much reviews.this is on the full game played. get of the ship as soon as possible so the music doesn't make you crazy. hos were ok, not many puzzles.get ready to read all the characters no voice overs here. this reminded me of the old games when i first started on bf. it was okay but only glad i used a credit. not that interesting or seat trembling but the little guys were cute. suggest playing the demo. 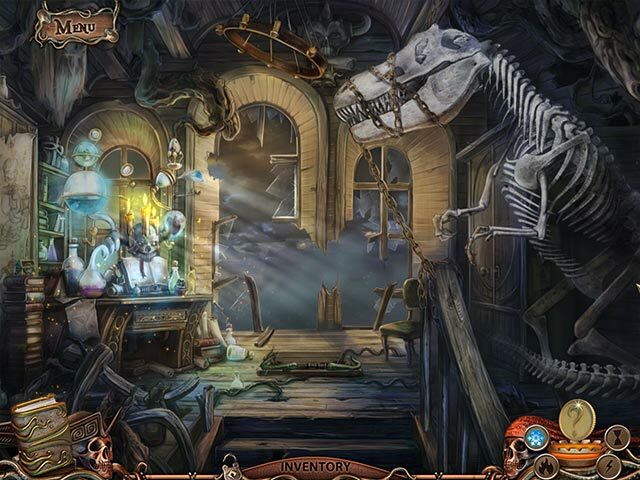 Rated 4 out of 5 by patricia356 from Pleasant surprise The graphics in this game are so good. I agree with another review that I stop to look around at everything in the scene. Sort of mechanical meets steam punk meets sailing ship. Very imaginative. The game is on the easy side but very interesting. I am still not sure what the black smoke keeps doing. I only played the demo and found there were more HO scenes than I like but they were not difficult or time consuming. The game is a little different and has its own vibe. Rated 4 out of 5 by Novella2 from Not necessarily a "last resort." This is based on the demo. There are three modes of play: easy, hard and extreme. No voices, only text. Not a lot of HOS scenes (at least in the demo), and they were clear and not too dark. The story is about a woman who has her own ship and has been asked to help out with strange things happening in the town. Not a great game, but I enjoyed playing it. Rated 3 out of 5 by LunaNik from Middle of the road...some good stuff, some bad stuff. WHAT I LIKED • The storyline, while being another good versus evil plot, approached it in a way that was rather unique. • The HO scenes which were 8,562,149 times better than most offered today. WHAT WAS 'MEH' • I'm not a huge fan of animated helpers. • The few mini-games were lackluster and simple. WHAT I DISLIKED • Lots of back and forth to find keys, tools, medallions, spare part, and the like. At the same time, every type of esoteric device/tool was right where I needed it, albeit broken. I found this a bit contrived. • The hint button didn't offer hints; it provided solutions, basically pointing me to exactly what I needed to do next. • The game was too quiet. I had all the volumes to 11, but the game persisted in being mostly silent. No music. Very few sound effects and ambient noises. WHAT DIDN'T AFFECT MY RATING • I wasn't bothered by the lack of voiceovers since I generally skip through conversations as fast as I can read them. 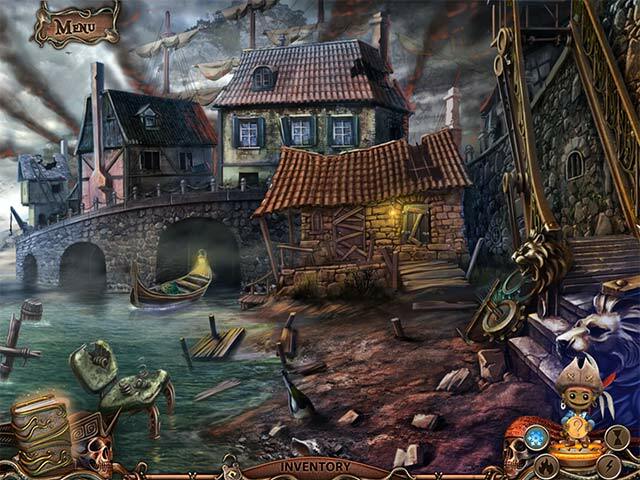 • The graphics, which were characteristic of an older game. • The lack of a customizable difficulty level based on the age of the game.